Home Facebook Tips Social Media How Your Facebook Profile Can affect your Job? 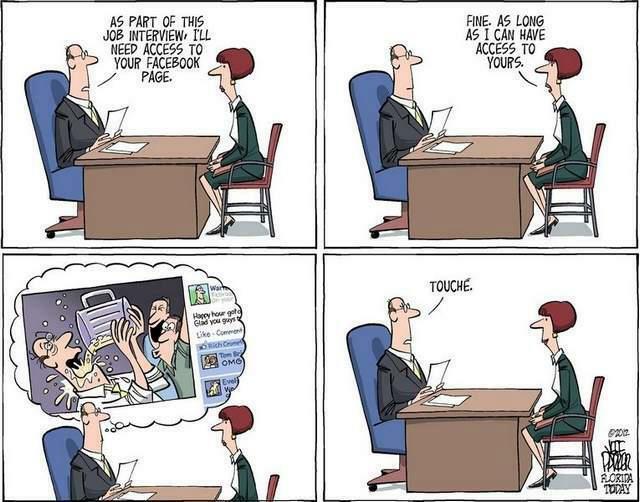 How Your Facebook Profile Can affect your Job? Facebook has almost 1 billion users. For sure it has anyone and everyone you can think of on Facebook. If you are very active on Facebook then many people can easily judge you just by having a look at your Facebook profile. Your Facebook Profile can affect your Current as well as future Jobs in below ways. You inform your boss about not feeling well and update the Facebook profile about enjoying a matinee show. You think your boss is not in your connection list and simply put your review. Your friends start liking and commenting on your update. It goes viral. Some even end up sharing your post. Now imagine your boss is in the connection list of your friends and he happens to check your update. He simply calls you and you say you are very seriously ill. I don't have to tell you what will happen to you next day in office. Many people do really well in their jobs and still hate their jobs and openly criticize their company on Facebook. If your boss come to know about this do I need to tell you what will happen with you during your Appraisals. Always remember the human mind only remember really good or really bad things. Most easily bad things about you so be careful. There have been many occasions where people have been made to pay price for very stupid things. We are so casual on Facebook that we forget its an extension of our life in Virtual reality. Our opinions and actions on Facebook actually reflect what we are in real life. If at all you are in a debate and start using abusive language casually for your friends and your company HR finds our about this, I am sure you will be poorly rated for behavioral competency even though you did nothing wrong in office. HR's are humans and human mind make a perception about other and always take decision based on those perception. Do you know recruiter now a days visit potential employees Facebook profile for background check? Even though Facebook profile is not the best way to do background checking many companies feel Facebook is the only platform where people love to show off and try to be honest. Now imagine you wrote something bad for your current company on Facebook, I am sure your profile will not be treated as best by your would be employers. Always keep in mind about factor of perception. It is mandatory for many potential candidates to reveal their Facebook profile id. Some unfair employers go even up to the extent of demanding passwords of your Facebook profile. With the Facebook's timeline feature companies can simply click on any time frame and check for updates from you. If they find something which they don't want to find there is a possibility that you may end up not getting the job even after performing really well in the interview. The purpose of the article is not to scare you, but to make you socially responsible in the virtual world. If you behave within limits in the real world with a fear of being penalized then why be over liberal on Social media and give negative impression about yourself. Remember its very difficult to build a good reputation but very easy to ruin it.